A stylish winger for clubs such as PSG, Newcastle and Tottenham, David Ginola enjoyed an eventful career on the pitch, and now he's looking to make an impact off of it. Ginola, with the somewhat dubious backing of bet makers Paddy Power has decided to run for the FIFA Presidency. “We all know that the FIFA system isn’t working. I’m standing because, like you, I love football. “The game needs to change, but I can’t change it on my own. I need you to stand up and change it with me. I need you in my team. “By joining Team Ginola you are saying ‘yes’ to a FIFA built on democracy, transparency and equality. Now, as much as most football lovers like myself would love to rid FIFA of the odious Sepp Blatter the reality is that Ginola likely won't come anywhere near the presidency and this is likely a PR stunt by Paddy Power, who have a long list of doing such things. 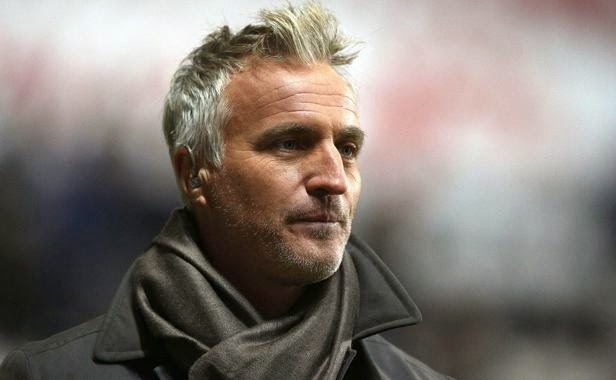 To challenge in the election, Ginola would need the support of at least five football associations, and despite his slick play on the wing and the shampoo commercials he did for his flowing locks back in the day, this just isn't likely.